Going outdoors is quite riveting and exciting. It means that you can have a break from the stressful life of the urban world. When it comes to relaxation, nothing yet beats camping. However, you can't fully chill out there if you don't have the best folding chair. A folding chair is essentially for camping purposes. It has features that make it more comfortable to use than the ordinary chairs you have at home. Moreover, this camping gear is durable and portable enough to withstand the outdoor conditions. Choosing the ﻿﻿﻿chair for camping is not that easy. 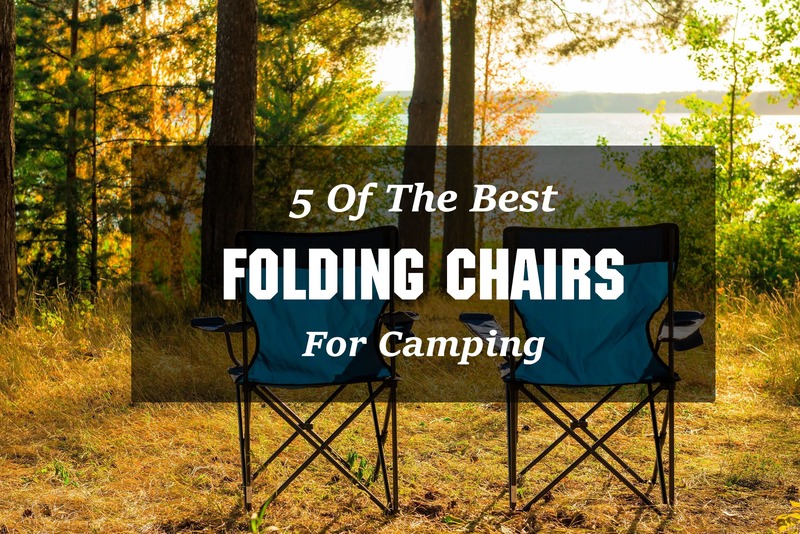 However, we came up with a list of the best camping folding chair that you can try. Before that, you should read our little guide on how you should choose the ideal folding chair for you. ​How To Choose The Best Folding Chair? Choose a camping chair that you can actually carry. Why would you even bring a chair that has no portable ergonomics? It is not advisable to bring wooden or plastic chairs on any outdoor trips. They will just become a burden in your storage. On the other hand, choose a folding chair that can be compact when folded. The smaller it is, the better. Moreover, your chair should have a carry bag or straps for easy transport. We have no control to the mess the outdoors might throw us. Elements like dust and mud can easily tarnish our camping gears. Moreover, you should realize that such instances are natural especially that you are far from the comforts of your home. A folding chair should have easy-to-clean features. Usually, you can clean this product by just spraying water on it. The fabrics should allow you to clean it with detergents or any washing soap. When you are done with washing, you can let it sit in the heat of the sun. Also, make sure that the steel frames are washable and can resist rust and corrosion. You need a folding chair that can support your body posture. It should have an ergonomic design to keep your back straight to prevent aches and strains. On the other hand, it should have wide armrests so that you can comfortably put your arms there. A folding chair should have a padded seat. It doesn't have to be a cushion. As long as it has a padding that can provide comfort to your buttocks and back, that chair is already good. 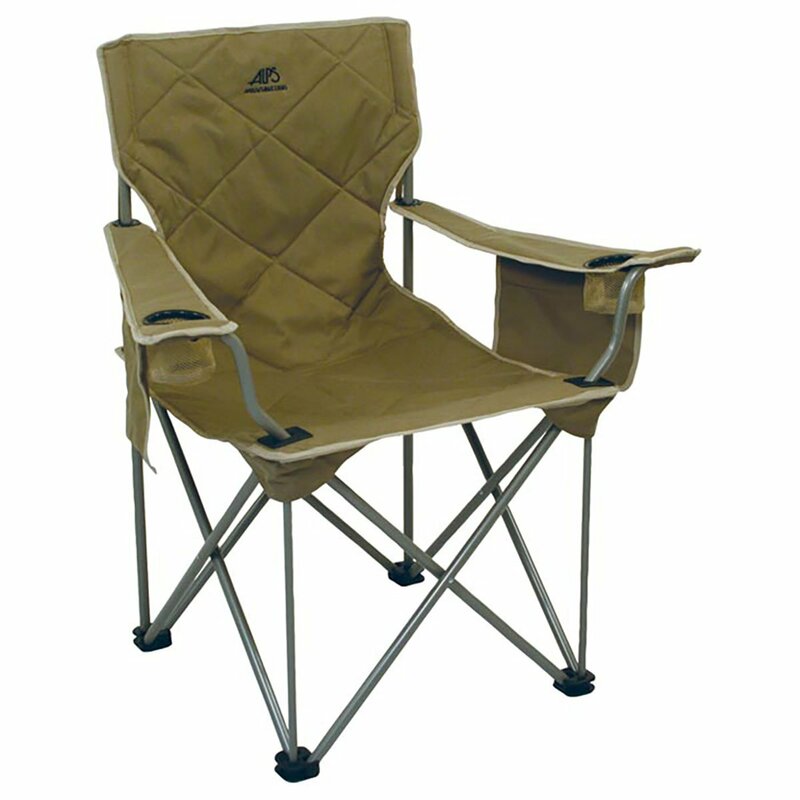 For camping purposes, your chair should be able to let you sit on it comfortably, even for an extended time. Since you are camping, you need a chair that doesn't break easily. Moreover, its construction should be rigid and stable, enough to prevent any shaking or wiggling motions. If these factors are not present, then relaxation is the last thing you can hope. One of the best folding chairs you can have is the Alps Mountaineering King Kong Chair. It can give you all the comfort you need even when you are outdoors. 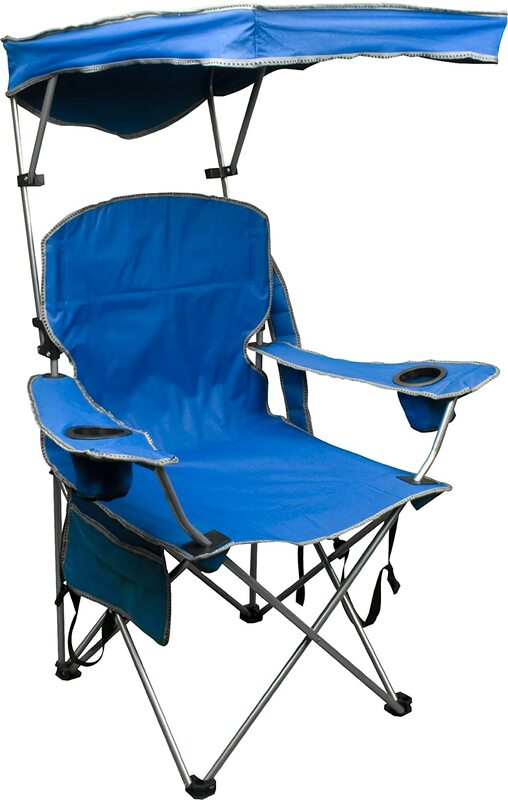 This chair is pretty stable and durable, which are both necessary for camping excursions. The King Kong Chair has a large seat with a pair of adjustable armrests. Moreover, both of the backrest and the seat have soft cushions so that your body won't feel stress while seating on it. You can also guarantee the durability of this chair. It has a steel bar frame which has a dimension of 1/2 inch. Nonetheless, the entire seat is made from 600D Polyester. The ample spacing between the legs of the chair provides its overall stability and rigidity. Specifically, it can accommodate the maximum weight of 800 pounds. Aside from that, this chair also has built-in side pockets and cup holders on each of the armrest. The pockets are essential to store some of your camping amenities. Moreover, there is also a mesh pocket on its back which is ideal for storing your carry bag while relaxing. Finally, the Alps Mountaineering King Kong Chair is very easy to use. It is completely foldable. In fact, it will only take seconds to set-up and collapse this product. The Coleman is one of the best folding chairs that we tried. It has a functional ergonomics that do not only give you comfort, but convenience as well. This folding chair has a durable construction. It uses a heavy-duty frame that can accommodate at least 300 pounds of weight. The quad-leg design of this chair makes it more stable than most of the camping chairs out there. Both of the seat and the backrest have pads. Therefore, you can guarantee that you won't experience any body aches while seating on this chair. Its armrests have adjustable heights, too. When it comes to storage, the Coleman Cooler Quad Chair is simply one of the best. Each of its armrests has a built-in soft cooler that can accommodate up to four cans. Aside from that, it also has a mesh cup holder where you can put another beverage. This storage feature is essential so that there will be no interruptions while you are relaxing. Moreover, this folding is truly portable. When it is time to pack up, you can easily fold up this chair and make it a carry bag! Hence, transporting and storing this chair will never be a problem. 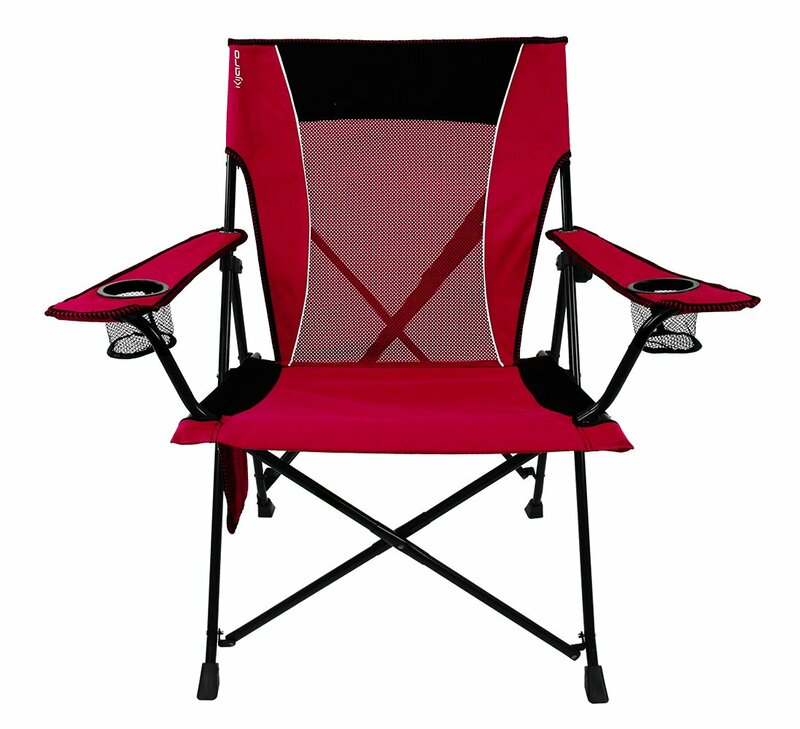 Another best folding chair you must have is the Kijaro Dual Lock. Aside from guaranteed comfort, this chair can give you other perks while just sitting on it! Its patented dual lock technology enables this chair to maintain its position. This lock/unlock button also allows you to set-up this chair fast and hassle-free. Once you press the button, the setting up process is already over. Just remember to press the button again once you are disengaging already. 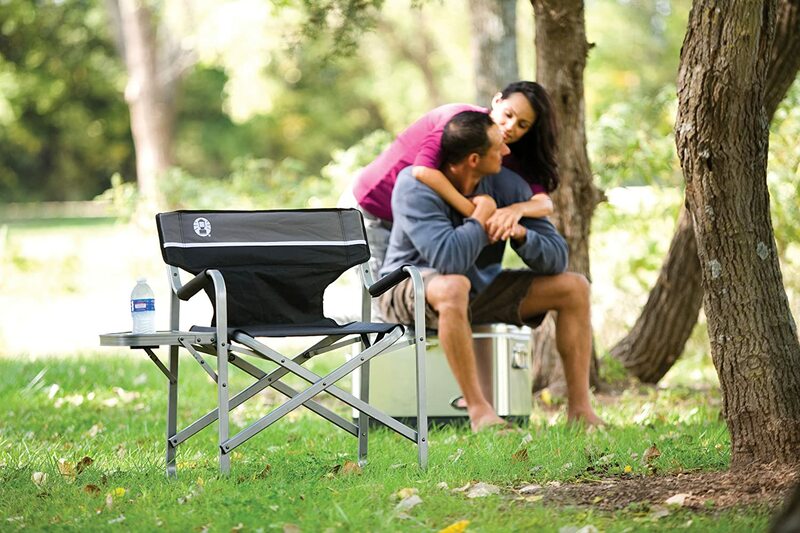 When it comes to comfort, Kijaro Dual Lock Folding Chair is something that you can trust. It has an upright design that promotes straight body posture. Despite this design, this chair is still very comfortable. You can use this chair if you want to relax or take a nap while enjoying the natural ambience. The Kijaro also provides better back support than any ordinary folding chairs. It is not also slouchy because of the firm 600 x 300D ripstop polyester. Moreover, this chair can accommodate a weight of up to 300 pounds. This rigid construction makes it ideal for those people who are quite bulky and heavy. Aside from these, the Kijaro has also a couple of supportive armrests. Each armrest has a portable cup holder for your beverages. Furthermore, this chair has also a back mesh panel. This mesh construction provides ventilation on your back during warm seasons. Not all camping sites can shade us from the warm sun. Well, the sun is not that bad. However, UV rays can really harm our skin, especially during noontime. This could be a hindrance to our outdoor relaxation. But not if you got the Quik Shade Adjustable Canopy Folding Camp Chair. This folding chair is perhaps the most unique of all the camps we have tried. This is due to its patented sunshade design. You can raise this canopy when the sun is already up. Moreover, you can also tilt it in any direction to ensure that the sun won't bother you. Aside from this function, it also has adjustable armrests. Each of the armrests contains two fabric and mesh cup holders. Moreover, you can also guarantee the sturdiness of this product. It is made from a high-grade steel frame. It also uses a 600D polyester of its seat. Specifically, this fabric is water and stain resistant. The Quik Shade Adjustable Canopy Folding Camp Chair also comes with a shoulder strap and carry bag. With this, you can guarantee that carrying this folding chair won't be a hassle on your part. 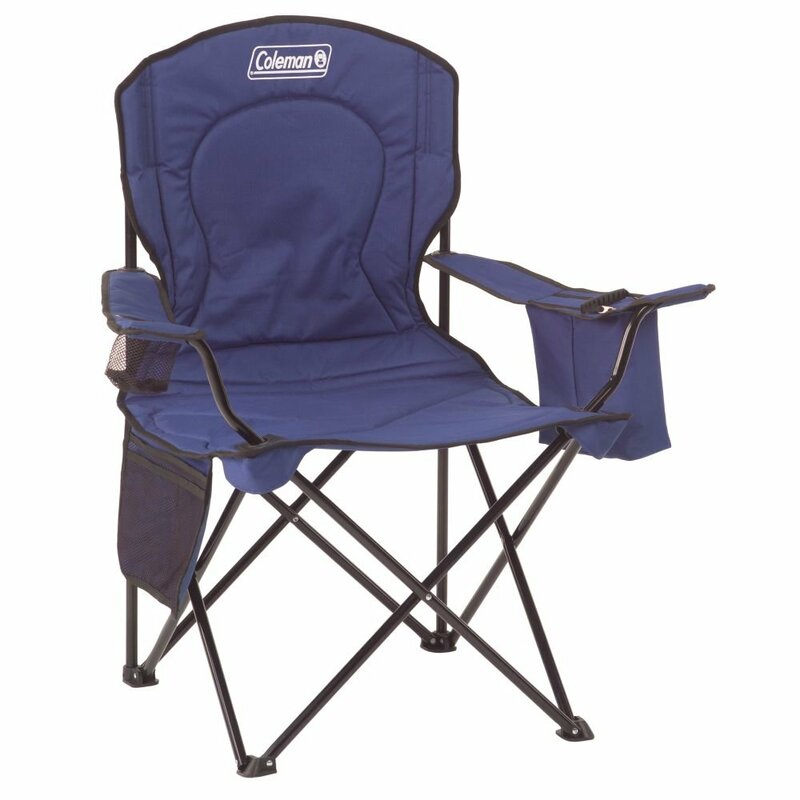 Another choice you have for the best folding chair is Coleman Portable Deck Chair. This seat comes with a side table where you can put your beverages and other items comfortably. It may not have cup holders on its side arms, but the table can compensate for it. In fact, the table is more spacious compared to the standard camping chairs. Aside from beverages, you can also bring your snacks without leaving any mess. Aside from this, this chair has a heavy-duty steel frame. It can accommodate 225 pounds of weight. Moreover, the entire seat is made from polyester fabric that prevents any wear and tear. The armrests of Coleman Portable Deck Chair have soft paddings. This enhances the comfort you can feel while sitting on this chair. This chair is also foldable. It doesn't require any quirky configurations for setup. Just fold it flat, and you can take it anywhere. Furthermore, this chair has the right angle to maintain your body posture even while relaxing! To be honest, we tested a lot of folding chairs, with different brands and varieties. In the aftermath, these five stood out. Each of these chairs has the primacy when it comes to seating capacity. Nonetheless, their respective ergonomics provide optimal comfort for outdoor purposes. However, we will still declare the Alps Mountaineering King Kong Chair as the best folding chair. It has a wide and roomy seat. Specifically, it can accommodate up to 800 pounds of weight, which is very impressive. Aside from that, it has all the durability and features ideal for camping and outdoor adventures. 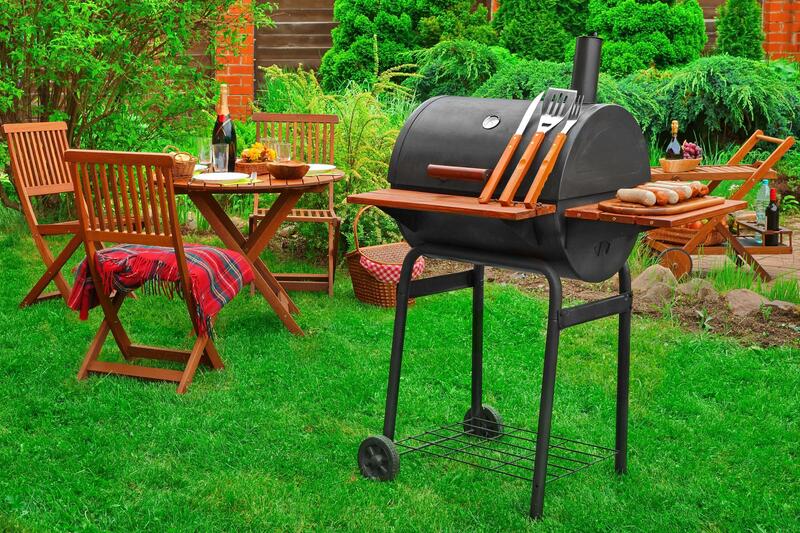 Moreover, improve your outdoor experience, you should prepare the best delicacies. And for that, you will need to bring the best camping grill with you! Do not also forget to share this article to your social media accounts!